Proper blower lubrication is the key to long life for your equipment. The Roots Universal RAI® series utilizes grease on the drive end and oil on the gear end. The vast majority of remaining Roots products utilize blower oil on the gear and drive end. Synthetic blower lubricant provides the longest life between oil change intervals and should be used wherever practical. Oil viscosity is dependent on the expected ambient conditions surrounding the blower and driver. The oil should be changed after the initial 100 hours of operation. Normal life expectancy of petroleum based oils is about 2000 hours with an oil temperature of about 180°F (82°C). As the oil temperature increases by increments of 15 to 18°F (8°C to 10°C), the life is reduced by half. Normal expectancy of ROOTS™ Synthetic Oil is about 4000 to 8000 hours with an oil temperature of about 180°F (82°C). As the oil temperature increases by increments of 15 to 18°F (8°C to 10°C), the life is reduced by half. The oil temperature may be estimated by multiplying the discharge temperature of the air or gas stream by 0.8. As an example, if the discharge air temperature of the blower is 200°F, it is estimated that the oil temperature is 160°F. ROOTS™ Synthetic Oil is superior in performance to petroleum based products. It has high oxidation stability, excellent corrosion protection, extremely high film strength and a low coefficient of friction. Typical oil change intervals are increased 2-3 times over petroleum based blower lubricant. 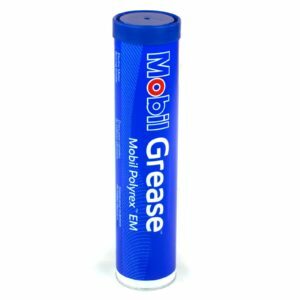 Another important property is it is 100% compatible with petroleum based oils. Simply drain the oil in the blower and refill the reservoirs with ROOTS™ Synthetic Blower Oil to maintain optimum performance. For the Roots Universal RAI® blowers that utilize grease in the drive end, there are two different options. Click here to learn more about which grease to use in your URAI blower. Lithium based greases are not approved for use with ROOTS™ blowers.